Which Social Media Platforms Should My Business Use? It’s the question we receive all the time at webFEAT Complete, and it’s a sure sign that social media has become an indispensable tool for every type of business. While the benefits of social media are seemingly inexhaustible, many businesses are attracted to social media’s ability to provide valuable insight, share information, and connect directly customers. Often, that’s where the similarities end, and if you’ve never explored your options outside of a simple Facebook page for your business, the decision of where to go next can seem overwhelming. So if you’re wondering what social media platform is right for your business, start here. 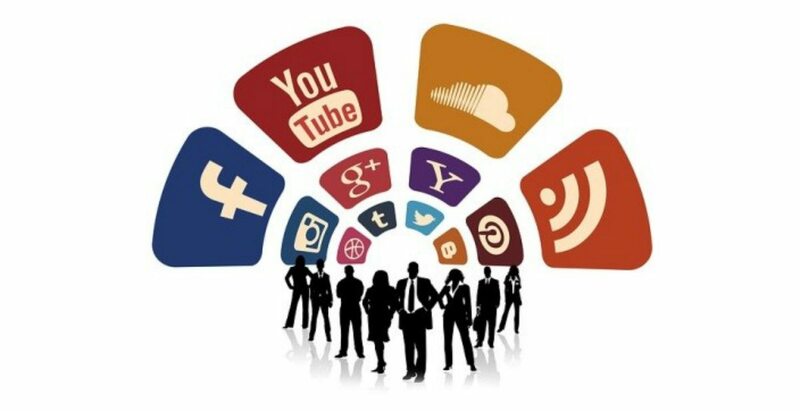 2 billion of the 3 billion internet users in the world have active social media accounts. Facebook alone has 1.71 billion active users each month, comprising 72% of adult internet users, or 62% of the entire adult population. And while the thought of even being able to reach a modest one million customers on a regular basis seems fantastic, you have to make sure you’re reaching the right one million. You have to know your message before you select your platform. What is your product or service? You probably have an answer for each of these and, if you do, you’re well on your way to selecting a social media platform that is right for your business. If you don’t, or if you believe there’s room to improve, now is the time to better articulate what you offer and what you want. Look no further than the success of The Ice Bucket Challenge and other social media campaigns that have gone viral over recent years, and it becomes apparent that people are motivated to act when they see others taking action, especially when it’s on behalf of something they care about. For the 53% of Americans who say that they are more loyal to brands they follow on social media, your platforms are your best online asset for motivating customers to take the action you desire. So what action do you want your customers to take? Enhance your brand awareness, reputation, and influence. Generate leads and increase your conversions. Gain insight about your customers, competitors, and industry. Drive more traffic to your site or blog. Enhance your business, including talent acquisition and company morale. This goal is broad and, more importantly, not measurable. Does enhancing awareness mean more followers? More page views? More shares? This type of goal is better because it’s specific, can be measured, and can be improved over time. This is the best type of goal to have because it provides the crucial link between your business goals and your social media goals. While your business goals and your social media goals may not be the exact same – they’re never separate. Once you understand your business and have determined your goals, you can begin making conscious decisions about which social media to choose. Your two most important considerations at this point are features and audience; however, don’t discount the needs that are specific to your business. For example, providing detailed articles on LinkedIn can be a great way of demonstrating your brand’s authority and expertise, but if you don’t have the time or the staff required in order to create quality content, curating content on Twitter might be a more realistic option. With 71% of internet users, or 58% of the entire population, using Facebook, this platform is the clear market leader likely due to its versatility and reach. Facebook has 1.71 billion active users each month, according to 2015 research by Pew Research Center. While Facebook is popular among all age groups, it is primarily popular among those ages 18 to 29, followed by ages 30 to 49. Instagram is a dedicated photo-sharing app is a unique and powerful way for businesses to showcase their products, developments, and – perhaps, most importantly – their personable side. Simple and powerful, Instagram can also provide opportunities for image SEO. Instagram has over 500 million active users each month and, like Facebook, is primarily popular among those ages 18 to 29. Where Facebook is about connecting with people you know, Twitter emphasizes connecting with people outside of your immediate network. Users can view, like, re-tweet, or follow your content without prior approval. Twitter conversations are also grouped together by hashtags, and so it is easy to monitor, or even jump into, conversations centered on a particular topic. This makes Twitter the ideal environment for acquiring customer insight. Twitter has 313 million active users each month and is primarily popular among those ages 18 to 29, followed by ages 30 to 49. Pinterest, like Instagram, is a dedicated photo-sharing platform and is a great way to utilize image SEO to drive more traffic to your site – but Pinterest has its own unique twist. Where Instagram encourages users to post “micro-moments”, Pinterest users post long-term “pins” containing a variety of content, including links to products or websites. Pinterest is ideal for businesses who have a product they want to share. Pinterest has over 150 million users worldwide and its most prominent demographic group, by far, are women. No platform is going to establish your authority, expertise, and trustworthiness quite like LinkedIn. Designed with a focus on building professional relationships, LinkedIn allows you to create awareness, improve your reputation, spread your influence, acquire industry insight, generate leads, and build traffic to your website. LinkedIn has over 106 million active users each month, primarily college graduates or those in higher-income households. LinkedIn is particularly unique because it’s the only platform whose users are more likely to be age 30 or older. Depending on your business, you may also consider other platforms. For example, if your business primarily provides training and consultation, posting video samples to YouTube can be a great way of demonstrating your expertise. If your company wants to showcase product reviews and testimonials, you’ll want to consider Yelp or another similar platform. Combining a clear understanding of your business, your goals, and the platforms that are available to you is the ideal formula for establishing your business on social media. Chances are that you already understand what makes your product or service unique, and so you’re well on your way to success. Keep in mind that it’s better to start with one or two social media platforms that you can dedicate your attention to and learn to master. As you become more proficient with one platform, you can consider expanding your online presence to another. In general, it’s better to have fewer, high-quality pages than multiple pages that appear abandoned; however, it’s ideal that you establish your presence on as many leading platforms as possible if you also want to gain better SEO through social media. Making the right match between your business and your ideal social media platform requires strategy, effort, and – most of all – time. If your business is struggling to meet this demands, or simply want the opinion of an experienced matchmaker, contact webFEAT Complete. We provide a Social Media Management team to help you select, maintain, and optimize your platform so your business achieves social media success! Justin is the Social Media Manager at webFEAT Complete. As the resident social media expert he is responsible for planning and executing effective social media strategies for clients that drive traffic and increase social SEO. When he's not reading up on the latest social media trends he is on a constant journey to find the best burger in Cincinnati (a never ending quest).